Editor’s note: As in years past, Preservation Leadership Forum is presenting a series of reading lists based on the major themes planned for PastForward 2018: intangible heritage, culture-nature, and resilience. This reading list was prepared in close collaboration with our panelists and with Anthony Veerkamp, director of policy development for the National Trust’s Research & Policy Lab. The three tracks will overlap significantly, so make sure to check out the intangible heritage reading list, the culture-nature reading list, and the preview of the culture-nature keynote speaker. 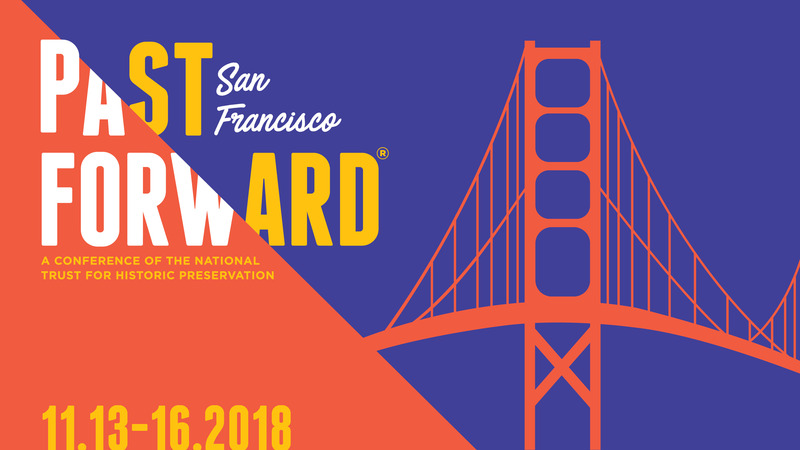 Learn more and register for PastForward today! Of all the threats facing historic resources across the country, those resulting from climate change are among the most severe. The impacts of a changing climate on our nation’s heritage are not a distant threat—they are already affecting our communities and the historic places we cherish. This year’s resilience track at PastForward will build on conversations initiated at past convenings. The track will explore the effects of climate change on the places we work to protect and identify concrete approaches to addressing those effects. Through a TrustLive, a series of Learning Labs and Power Sessions, and Field Studies, attendees will explore the connections between historic preservation and national and international conversations about climate, including the Paris Climate Agreement and the recent Global Climate Action Summit and Climate Heritage Mobilization in San Francisco. In the face of the growing climate crisis, preservationists are challenged on two fronts: we need to both mitigate climate change by reducing greenhouse gas emissions and adapt to climate change impacts that are no longer possible to avoid. Kicking off the conversation in San Francisco will be Victoria Herrmann, the president and managing director of the Arctic Institute who received a 2017 J.M.K. Innovation Prize to support her Rising Tides project aimed at creating a new online platform to connect pro bono experts with climate-affected communities. A National Geographic Explorer, Herrmann has spent the last few years working on a project called America’s Eroding Edges—traveling to places as far-flung as Alaska and American Samoa to explore communities that are already feeling the brunt of climate change and learn about their adaptation strategies. Read more stories from those communities on SavingPlaces.org. In 2017 Herrmann gave a presentation about some of those impacts at CreativeMornings/DC. Our historic environment is particularly vulnerable to environmental change. Structures which have been standing for hundreds of years and archaeology previously buried safely underground are in increasing danger from extremes of wetting, drying and temperature fluctuation. Our diverse landscapes and historic coasts are also at risk of significant change. This recent story in The New York Times offers a specific example, documenting the challenges of protecting Scotland’s resources from rising seas. Historic Scotland provides a wide array of resources and plans to mitigate impacts. Several reports published in the last few years look at the impact of climate change specifically on natural and cultural resources. In May 2014, the Union of Concerned Scientists released the “National Landmarks at Risk” report, which documents how the consequences of climate change are increasingly putting many of the country's most iconic and historic sites at risk. In October of that year, Adam Markham discussed “The Future of Historic Places and Climate Change” on the Forum Blog. The integration of historic resources into climate change adaptation planning has progressed more slowly in the United States than in many other countries. Nonetheless, the National Park Service was an early leader in the field—in 2016 it released a Cultural Resources Climate Change Strategy organized around four goals: connecting impacts and information, understanding the scope, integrate practice, and learn and sharing. On September 12, 2018, the National Trust for Historic Preservation joined more than 100 national and global heritage partners at the Climate Heritage Mobilization. Organized under the auspices of the California Office of Historic Preservation, the day-long convening was devoted to exploring the threats climate change poses to both tangible and intangible cultural heritage and the role that the heritage sector can play in supporting climate action. Watch the morning session of the event on Facebook. Sea level rise, coastal erosion, heavy rains, increased flooding, severe drought, catastrophic wildfires, melting glaciers, and thawing permafrost are already damaging and destroying historic buildings and neighborhoods, archaeological sites, and cultural landscapes across the nation—and the threats are growing more severe. While specific impacts vary, no historic site, community, or region is immune from the effects of climate change. John Englander, a TrustLive speaker for the preservationCRISIS track at PastForward 2014, is one of the nation’s most persuasive climate change adaptation thinkers. His book, High Tide on Main Street, takes a close look at the impact of sea level rise on coastal communities. There is increasing concern … about undesired changes to our global landscape and the ways in which those changes are affecting significant cultural landscapes. While many others are attentive to the eroding condition of our natural environment and the subsequent impact on biological systems, this discussion addresses the impact of that erosion on significant human landscapes. Native communities across the United States—like the ones Victoria Herrmann has been working with—are often particularly vulnerable to the effects of climate change. They are already being forced to relocate as melting permafrost and disappearing sea ice cause rapid coastal erosion. In the “High Water and High Stakes” Forum Journal issue about cultural resources and climate change, Patty Ferguson Bohnee examined “The Impacts of Coastal Erosion on Tribal Cultural Heritage” in Louisiana. In Annapolis, Maryland; Miami; and many other coastal communities nationwide, once-rare “nuisance flooding” is becoming a monthly occurrence. Before long, some communities will experience flooding with every high tide. The city of Annapolis has created a “Cultural Resource Hazard Adaptation and Mitigation Plan” as part of its “Weather it Together” campaign. And the Keeping History Above Water conferences, sponsored by the Newport Restoration Foundation, have been an important forum for conversations about climate adaptation in historic coastal communities. The slides from a “Hazard Mitigation in Historic Districts webinar” from the Mandeville, Louisiana, Department of Planning and Development. Preservation is uniquely poised to offer solutions to climate challenges—and, in so doing, generate interest in and commitment to the preservation movement. According to the U.S. Energy Information Administration, buildings are responsible for 44.6 percent of carbon emissions in the United States and more than 70 percent of the emissions in urban areas. And while cities and the real estate industry have worked to ensure that new buildings are highly efficient, they have not been as focused on “embodied carbon”—the carbon emitted in the production of building materials and during construction. As highlighted in “The Greenest Building” report, rehabilitating existing buildings can dramatically reduce embodied carbon emissions, yielding carbon reductions faster than building new, “green” buildings. Created last year, the Zero Net Carbon Collaboration for Existing and Historic Buildings seeks to accelerate existing and historic buildings toward zero net carbon by developing leadership and rehabilitation best practices. Moreover, historic neighborhoods, which tend toward efficient design and walkability, are more inherently resilient to climate impacts. Communities around the country are increasingly focused on developing and implementing resilience strategies to prepare for a range of looming climate challenges. Those strategies often coincide with the hallmarks of older communities: lower reliance on private cars; close connections between neighbors; and vibrant local economies that can withstand disruptions in supply chains, food systems, and energy production resulting from storms, floods, and fires. Check out “Building Resilience: Practical Guidelines for the Retrofit and Rehabilitation of Buildings in Canada,” a “sustainable building toolkit” that articulates the environmental benefits of heritage conservation. Forum Blog post: Is LEED Tough Enough for the Climate-Change Era? If you are participating in the PastForward Challenge (Gamification) for points and prizes, please enter the following passcode for the "Blog: Resilience" challenge: READRES.